With high-quality cameras being much more affordable, it can be difficult to know which one is best for you. After all, the pictures look just about the same, so why should it matter which camera you get? For those who want the highest-quality pictures, close isn’t good enough. You want the best pictures that your budget can afford. To help you with your decision, we’ve put together this list to help you find the best camera under $500. Use it as a guide as you search for your new camera. What Are the Types of Cameras Available? What Should You Look For in a Camera? What Should You Expect to Pay? How Do We Choose the Best Cameras? Digital single-lens reflex cameras (DSLRs) are simply those that have a removable lens and use a reflex mirror to display images from the lens directly through to the viewfinder. Mirrorless cameras do not use reflex mirrors. Instead, the image sensor is always exposed to the light so that the image can be displayed on an LCD screen or an electronic viewfinder (EVF). Point-and-shoot cameras are the smaller handheld cameras that you typically see being carried around. The zoom lens is already attached, so all you have to do is point and shoot. Without any context, the specs on cameras and other technological devices can sound like manufacturers throwing out numbers and features just to outdo one another but without any real-life benefit. Here’s what you should look for when choosing a camera. Typically, more megapixels are better, but it all depends on what you plan on doing with the images you capture. The larger the sensor, the more light and detail can be collected with your image. 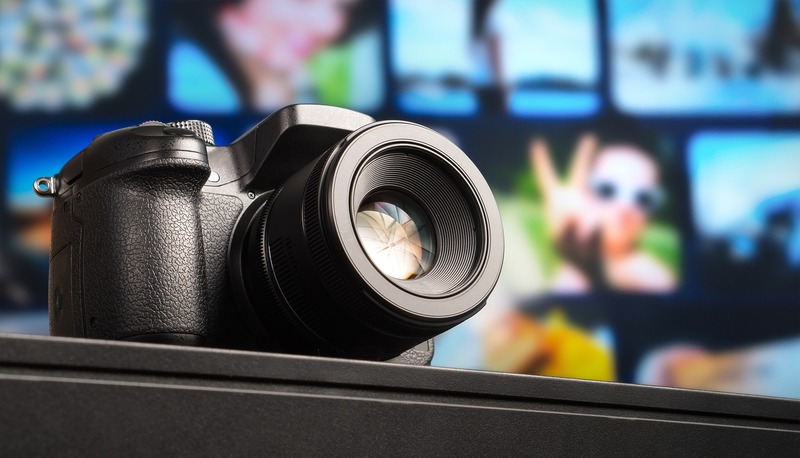 Even entry-level cameras are expected to be able to capture high-quality videos. The best cameras should be able to shoot Full HD videos. Burst rate, measured in frames per second, is the number of times per second the camera can snap images. If you’re going to be taking action shots, you’ll want a camera with a higher burst rate. Expert photographers like to use viewfinders to line up their shots while entry-level photogs may be OK with just using the LCD screen. In today’s world, a camera must be able to connect to computers and other devices for easy transfer of images. Wi-Fi and Bluetooth capabilities make this easier. Point-and-shoot cameras are generally going to be the cheapest option. However, you’ll find the best ones to be as expensive as DSLRs and mirrorless cameras. 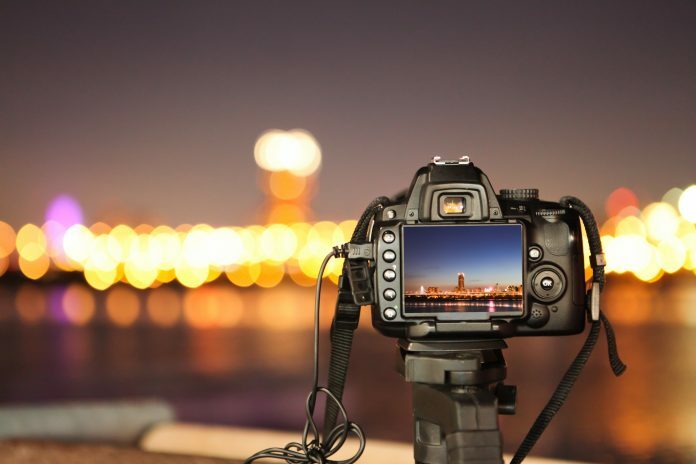 The amount you pay will be dependent on what you’re looking to do with your camera. To come up with the cameras, we researched the best cameras based on expert reviews. We then compared their stated features and capabilities to expert and customer feedback. We believe this approach allows us to gain a fair and balanced evaluation of each camera’s actual performance. In the end, we hope that you’ll be able to use this review as a guide to help you find the camera that fits your needs. 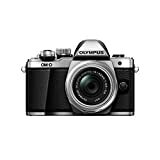 The Olympus OM-D E-M10 Mark II is a mirrorless camera that offers excellent picture quality at a decent price point. It comes with features such as a 16 MP CMOS sensor, 5-axis image stabilization, Wi-Fi, tilting touchscreen LCD and an excellent viewfinder. Additional features such as iAuto, which adjusts the settings based on the scene, make it perfect for beginners. More experienced shooters will love it as well with the many shooting modes and advanced features like Live Guide. It makes sharing images to your smartphone or tablet easy with the Olympus Image Share app. The video CLIPS feature allows you to shoot short videos and combine them in whatever sequence you choose in the camera. When you’re done, you can easily share the file with your friends via social media or email. The Nikon D3300 is a DSLR camera that delivers fantastic image quality. Its interface is user-friendly, and it even comes with a Guide Mode that makes it easy for new beginners to get started. It boasts a 24 MP sensor, so even as an entry-level DSLR camera, its picture quality outperforms point-and-shoots and others in this range. It shoots in 1080p Full HD, so you’ll have no worries about using a different camera for shooting videos. Aside from the picture and video quality, the D3300 is well-designed and one of the lighter DSLR cameras. In terms of negatives, it’s a slow camera. It takes a long time to shoot when it needs to autofocus, but when back-to-back shots are being taken and it doesn’t have to refocus, it works just fine. It lacks connectivity options such as Bluetooth that are found in other options in this range, but by using the WU-1a Adapter, you can have the pictures you take appear immediately on your compatible smartphone or tablet. The Canon EOS Rebel T5 is one of the better values for entry-level DSLR cameras. It comes with 18 MP image resolution and delivers HD video resolution of 1080 x 1920. The 3-inch LCD screen allows you to view your shots clearly. Beginners will love its Basic+ control menu and preset features, creative filters and settings such as Scene Intelligent Auto mode. Those who are more experienced will have plenty of flexibility with the manual controls and customization options that it offers. 18.0 Megapixel CMOS (APS-C) image sensor and high-performance DIGIC 4+ Image Processor for excellent speed and quality. ISO 100-6400 (expandable to H: 12800) for shooting from bright light to low light. The Canon EOS Rebel T6 is another entry-level DSLR camera that offers good picture quality and is easy for beginners to use. It doesn’t come with any eye-catching features but instead focuses on delivering top-notch performance. It comes with an 18 MP sensor, a fixed 3-inch LCD screen, a DIGIC 4+ image processor that delivers fantastic speed and the ability to shoot Full HD video. It performs well when shooting in various light levels. You can easily share your pictures with compatible. One of the lighter DLSR cameras on the market, the D3400 is the next iteration from Nikon after the D3300, and it’s at the top of the list in terms of entry-level cameras. It has a simple, beautiful design, offers excellent picture quality and comes with a long-lasting battery. 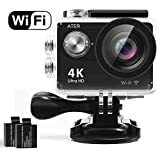 Beginners will find this camera easy to use due to a number of features targeted for entry-level users. The D3400 sports a better-than-average 24.2 MP APS-C image resolution and Full HD video capabilities. One thing to consider with the D3400 is that it’s very similar to the D3300. Upgrades over the previous model include the ability to share pictures via Bluetooth and a longer-lasting battery. The M10 is a replacement for the M2 model from Canon. It comes with 18 MP resolution, a 3-inch 1.04 million dot tilting touchscreen LCD, NFC and Wi-Fi for connectivity and Full HD video recording capabilities. It’s lightweight and compact. It doesn’t have a viewfinder, so you will have to line your pictures up using the LCD. The ISO range on the M10 is 100-12800. The Sony Alpha a5100 is a lightweight and compact mirrorless camera with 24.3 MP resolution that delivers extremely detailed, high-quality images for its price range. It has a 3-inch LCD touchscreen that can tilt upward 180 degrees, so you can easily setup shots at different angles. The a5100 comes with built-in Wi-Fi and NFC technology for sharing pictures. The Nikon 1 J5 is a mirrorless camera with an old-school feel and plenty of new-school features. With the J5, you’ll be able to take continuous shots due to its ability to shoot up to 20 frames per second. You can take as many selfies as you’d like with its 3-inch LCD that can tilt up 180 degrees. It also comes with built-in Wi-Fi and NFC so that you can easily share your images. 1.0-Inch, 20.1 Megapixel* High-sensitivity CMOS sensor. 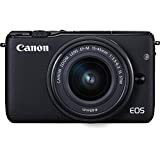 The Canon PowerShot G9 X Mark II is a small, lightweight camera that’s great as an everyday camera and for traveling. It comes with 20.2 MP resolution and boasts a DIGIC 7 processor which delivers a faster-than-average burst rate. With this combination, you’ll be able to take beautiful, continuous shots easily. You can quickly share your pictures using its built-in Wi-Fi and Bluetooth capabilities. It also captures Full HD videos that you can playback using the HDMI type-D output. 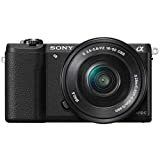 Even with its limited set of features, the Sony RX100 delivers some of the highest quality images among point-and-shoot cameras in this price range. With its 20.2 MP resolution, your images will come out just as crisp as more expensive cameras. Its 25-point autofocus keeps track of all subjects to ensure everything in your shot comes out clearly. It can capture up to 10 frames per second when in continuous shooting mode which is better than average for its class. The 3-inch LCD comes with WhiteLight technology which allows you to see the screen better when out in the sun. While there are pros and cons to each camera, it’s unlikely that you’ll go wrong with any of the options listed here. However, as far as an all-around camera goes, we recommend the Nikon D3400. 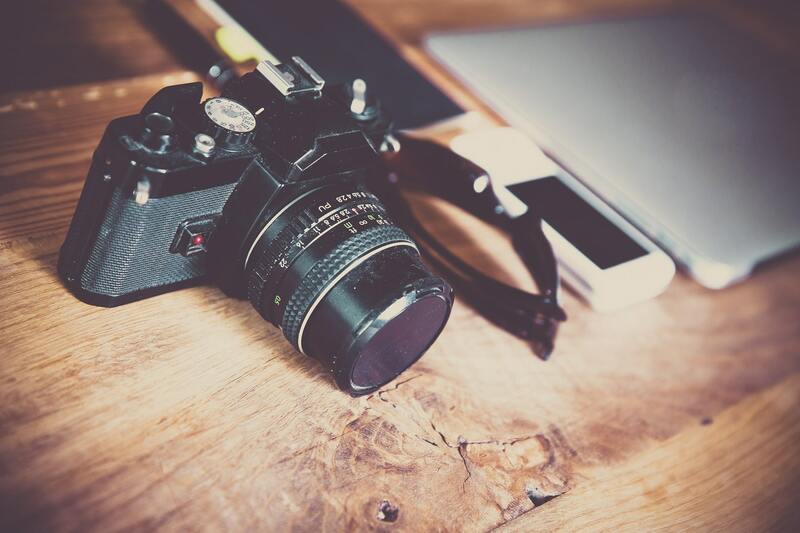 Even with its limitations, it possesses just about everything you need from a camera – high-quality images and a variety of features for beginners and experienced photographers alike. Whether you’re interested in getting into photography for the first time or looking to replace an old camera, it is our number one choice for cameras under $500.